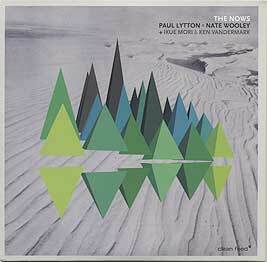 Paul Lytton, percussion; Nate Wooley, trumpet, amplifier; Ikue Mori, computer (Disc one, tracks 2, 3); Ken Vandermark, bass clarinet, clarinet, tenor and baritone saxophone (Disc two, tracks 3, 4, 5). Disc one recorded live at The Stone, NYC on 2 March 2011; disc two recorded live at The Hideout, Chicago on 16 March 2011. Design (front cover reproduced above) by Travassos.